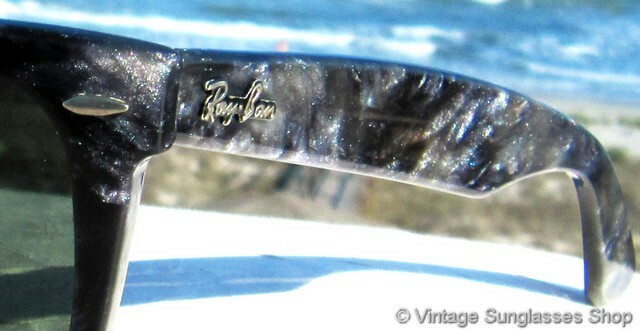 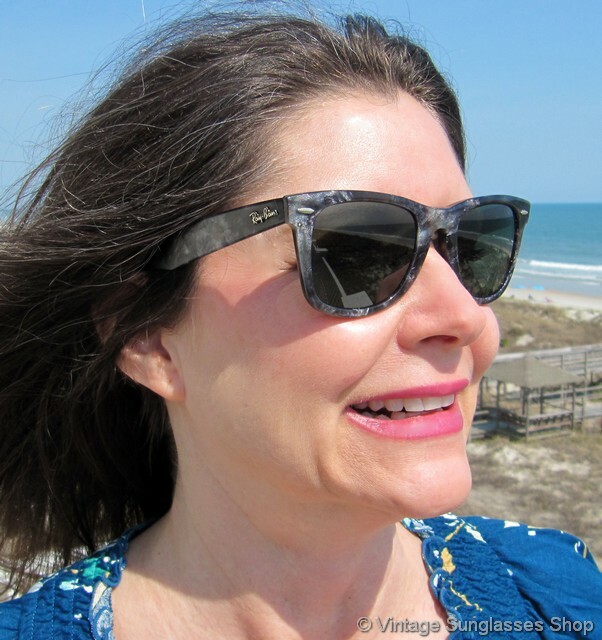 1 Vintage Ray-Ban W0890 Wayfarer Limited Edition sunglasses feature the rare black marbled frame that combines many different shadings of black and gray into a distinctive, marbled mosaic pattern. 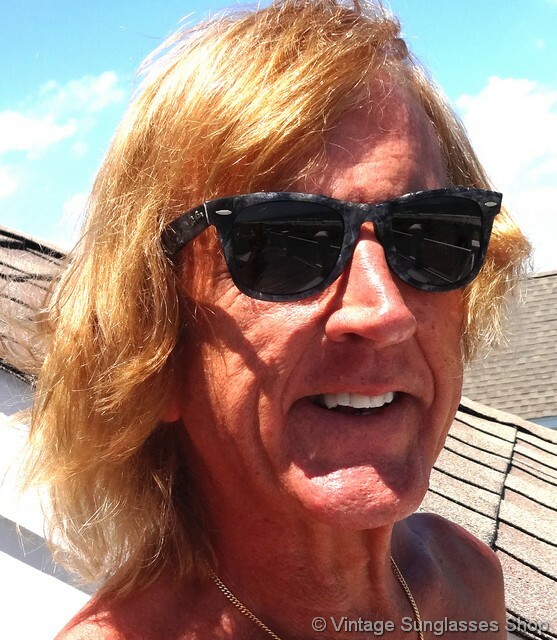 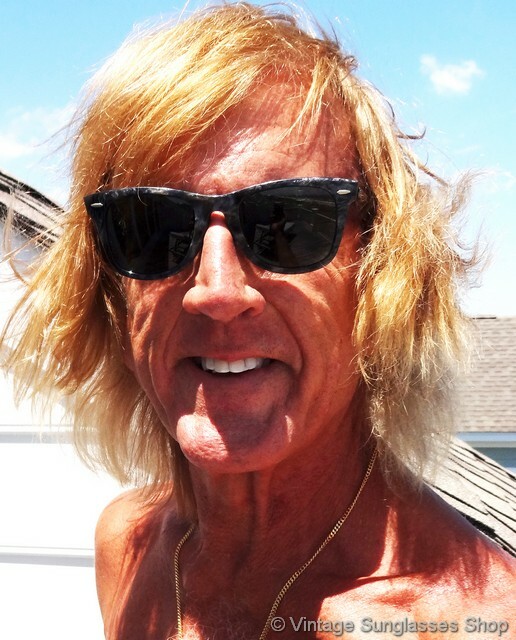 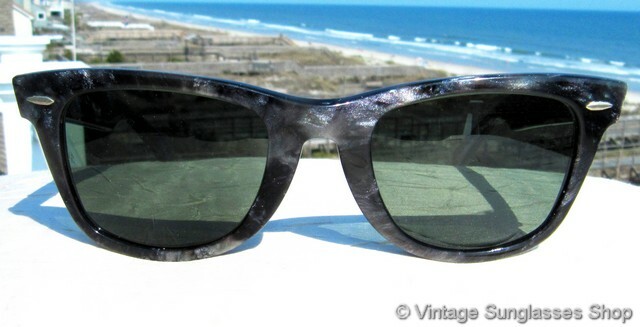 This marble pattern looks great with the Bausch & Lomb G-15 lenses, the original anti-glare mineral glass lenses B&L developed for the US military and still one of the finest lenses ever made. 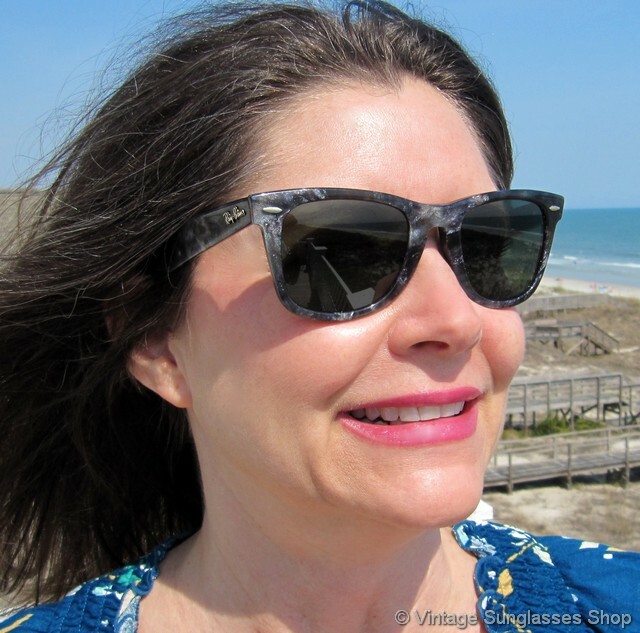 The unisex Ray-Ban W0890 Wayfarer 5022 frame measures approximately 5.5" temple to temple, and the B&L G-15 lenses measure approximately 1.875" x 1.5" at the widest points with both lenses laser etched BL near the hinges. 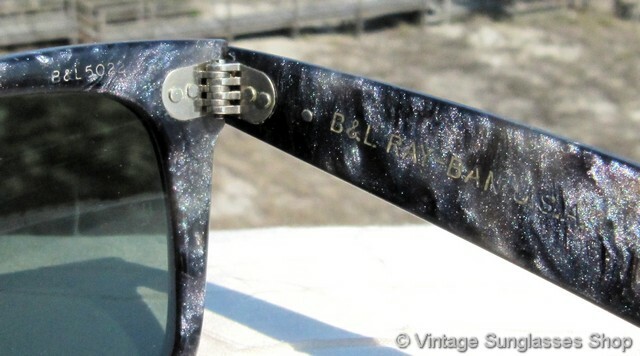 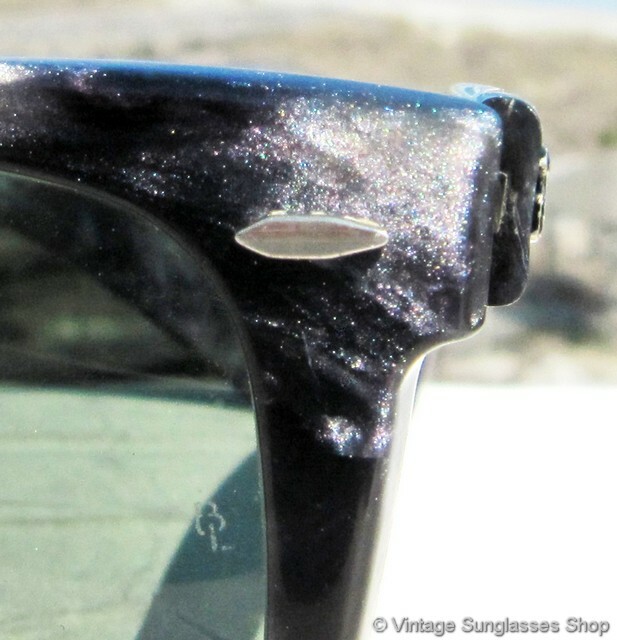 You'll find the Ray-Ban logo in raised metal relief on the exterior of both ear stems, and the inside of one stem is impressed B&L Ray-Ban USA while the inside of the other stem is impressed Wayfarer and B&L 5022 is impressed above the rear of the right lens. 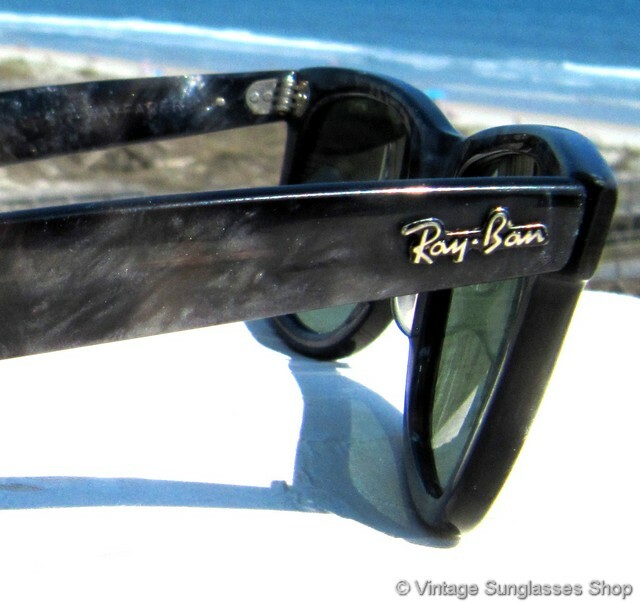 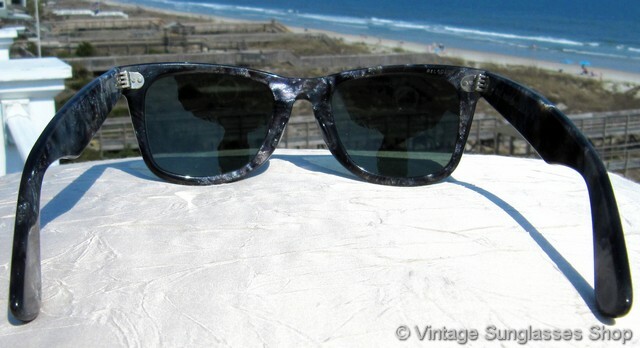 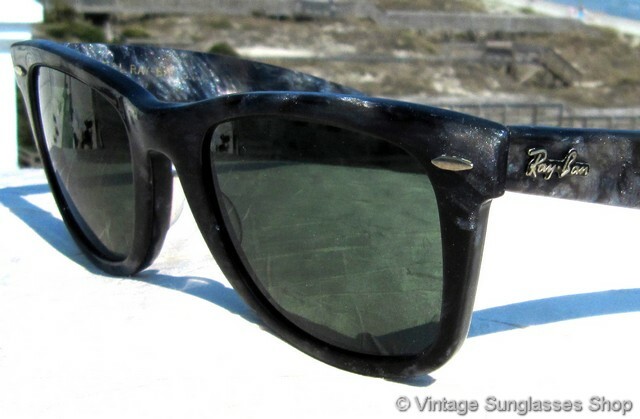 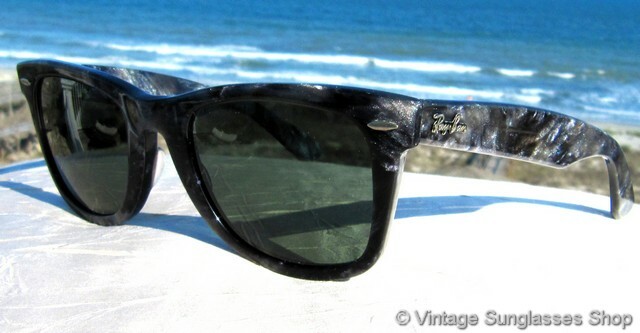 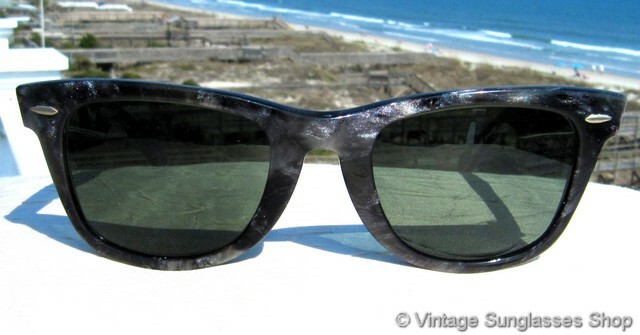 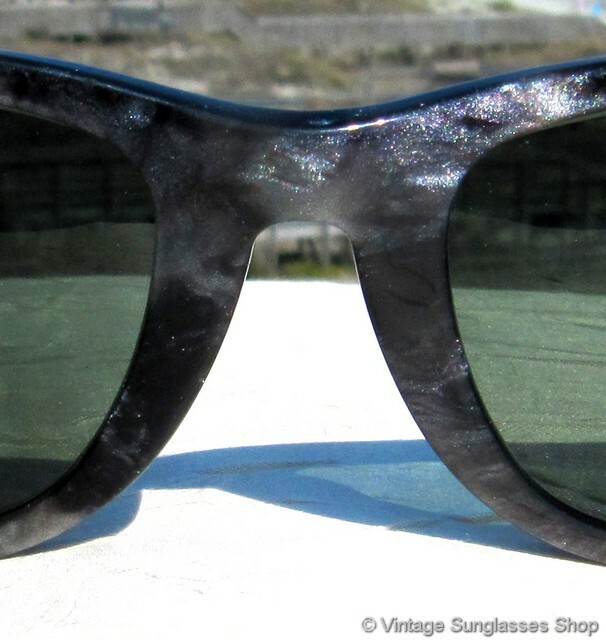 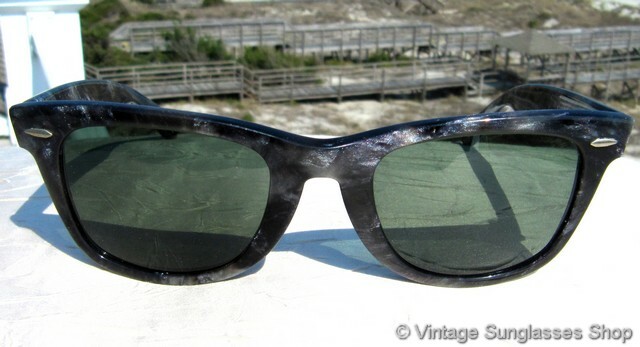 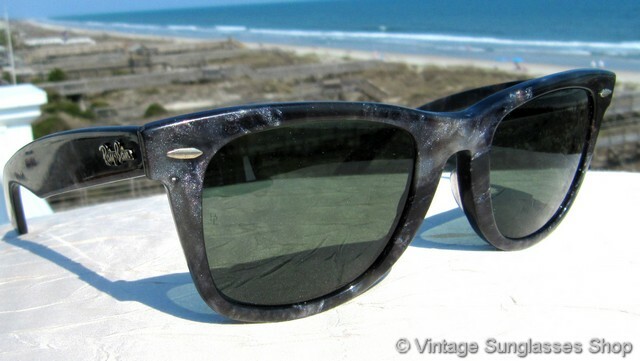 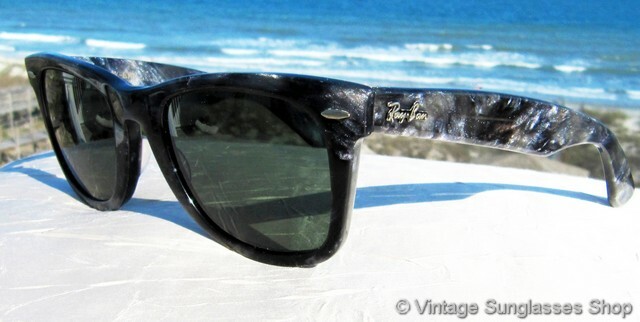 2 Step up another level beyond our already unequaled vintage condition standards with new old stock Ray-Ban W0890 Wayfarer Limited Edition black marble sunglasses in mint, unworn condition.